It seems ABC doesn't want Barris discussing that racist 'Roseanne' joke. 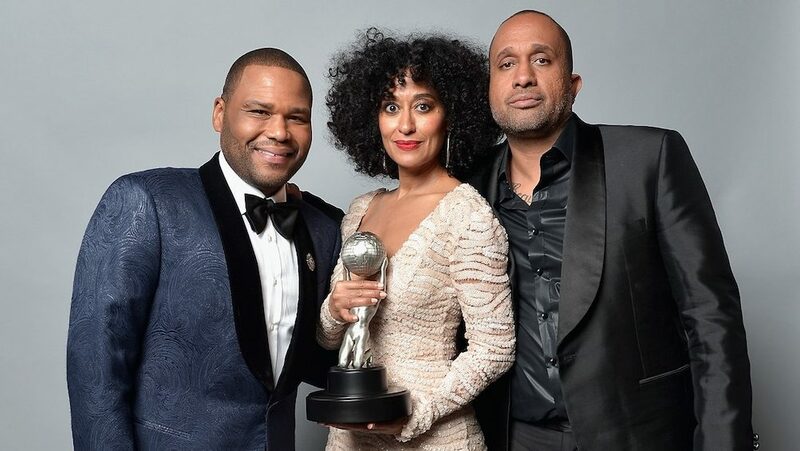 Kenya Barris is the man behind ABC’s hit, black-ish and the series that was just renewed for a fifth season just completed a four-episode arc that had fans very worried. The show’s main characters, Dre (Anthony Anderson) and Bow (Tracy Ellis Ross) were experiencing an especially troubling time inter marriage and were separated, forcing fans to fear a divorce could be not he horizon. In last night’s season 4 finale, the couple reconciled and calmed our fears and now Barris is speaking out about why he chose to play with our emotions. He revealed that although fans were worried of a permanent breakup, the show’s writer always planned to reunite the beloved couple. During an interview with Vulture, he also opened up about the episode of black-ish that was pulled by ABC this season due to “creative differences” about the show that touched on Colin Kaepernick and the “Take a Knee” movement. “We just had a difference of opinion. I don’t think it’s the first time an episode hasn’t aired. You know what I’m saying? It probably won’t be the last. And I feel like it was something for us that we felt like we couldn’t come to an agreement and mutually decided just to sort of move past it,” he said of the incident that prompted rumors he was trying to get out of his contract. When the reporter asked him about his reaction to the shade his show received on an episode of Roseanne that came in the form of a racist joke, the publicist on deck interrupted the conversation, preventing Kenya Barris from offering an answer. Looks like the network would rather we forget about that terribly tasteless moment from one of its biggest money-makers.